Thought I'd share my excitement. Since getting rid of my 2003 Mach 1 in 2007, due to having a little one, I was finally able to scratch my itch and got a 2013 Mustang GT. I must say this new Mustang is definately a much more improved and refined machine. This thing hauls the mail. Up next in the very near term is exhaust, CAI, and tuner. Nice looking ride. Are those factory wheels. Have you played with the multi function display to see you 0-60, lat g's and other info? That is a cool new feature in the 2013s. im a big mustang guy and I wanna see what the new 5.0 is about. I haven't played with the track apps yet. Heck I don't know what half the buttons do yet. I'm going to finally sit down tonight and read the manual. The 6-spd manual with the 373s are SWEET! On the 6 sp with 3.73s. It is getting to the point that I think Ford should include a full semester's tuition to MIT with all new cars and trucks. I wish my wallet was a little thicker cause that 650hp GT 500 was awesome. I could imagine driving that monster on the street, heck the 420hp I have puts u back in ur seat pretty good. Had a 2012 5.0 auto and it was a beast with cai tune and convertor. Thank you for buying a manual! Looks great.. I have been reading a lot of good reviews on the new 5.0's. I picked the GT500 about 6 months ago and it is also a beast. Not a big Mustang fan, but, I have to admit, that does look pretty sweet. Sweet. 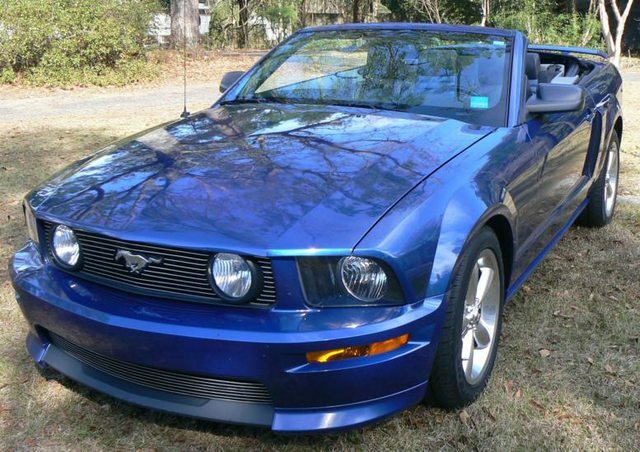 I have an 07 GT convertible and so far have not been able to sell The Treasurer on trading in for a new 5.0. I have an '07 GT/CS Vert myself and flat love every frickin' mile in it. Just added a nice CAI and SCT Tuner. 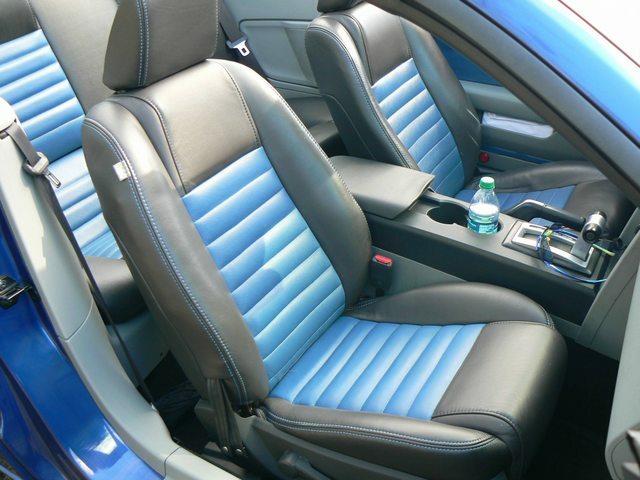 Of course the one-off blue/black leather interior makes it IMO. I quit buying new (for me) a while back, rather the other guy take the hit first. I will be ready for a 2013 in about 2017 or so. And really miss the sound of it, more than anything else. Enjoy yours! It looks awesome! Love the newer style mustangs. I bought my first mustang last year, it's not a "looker" but I'll race anyone who wants to try me! I think Ford is way ahead in the muscle car department. And I am a MOPAR guy..